The Midwestern state of Wisconsin is a great place to raise a family or enjoy a more relaxed pace of life. Whether you are single or a moving the whole family, you'll want a reliable mover to transport your household belongings safely to your new home. Simonik Moving & Storage is exactly the company to assist with moving from NJ to Wisconsin. We're a BBB-Accredited team of professional movers who have serviced customers since 1977. 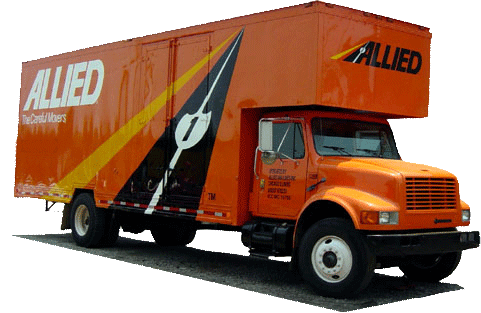 We also have access to a vast network of moving and storage professionals with our status as award-winning agents of Allied Van Lines. No matter where you want to go in the United States, we can take you there. Customers who are moving to Wisconsin from New Jersey need a company that can handle all of their transportation and packing needs, no matter the scope of their move. Simonik is the team to rely on. We'll start by coming to your home to provide a moving cost estimate for everything you require. If you want to move forward, we'll provide you with a Relocation Coordinator who can answer your questions and help you throughout the process of moving. We'll also offer you all of our moving services, which come with several features and amenities. Simonik also provides short- and long-term storage in our warehouse facility for customers. If you aren't ready to receive your household items at home, allow us to securely store them in sturdy long-distance shipping containers. We'll hold your belongings for any length of time while waiting for you to complete your NJ to WI move. We are proud members of the North and Central Jersey business community, and as such serve many households within Hunterdon, Mercer, Middlesex, Monmouth, Morris, and Somerset counties. Our company has also been recognized for its commitment by the New Jersey Warehousemen & Movers Association with the 'Mover of the Year' award. As ProMover members of the American Moving and Storage Association, we also stay apprised of the requirements associated with your long-distance move from NJ to Wisconsin. If you are interested in learning more about our moving services, give Simonik Moving & Storage a phone call. We'll be happy to answer any questions regarding your NJ to WI moving needs. For a complimentary, no-obligation moving estimate, please fill out our online quote form today.